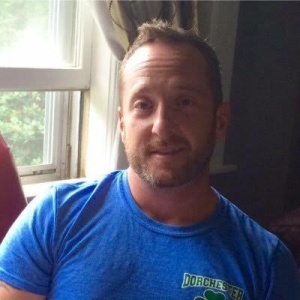 Guest Bio: Brian Moore-Ward, a Boston-area man living with MS, is proud to be working with Biogen and MSWorld to help launch #MySupportHero, a program that encourages people living with MS to virtually thanks and recognize their support partners for their ongoing help, care and strength during MS Awareness Month. Segment overview: Brian Moore-Ward talks about his MS journey. Neal Howard: Hello and welcome to Health Professional Radio. I’m your host Neal Howard, thank you so much for joining us today. Our guest in studio today is Mr. Brian Moore-Ward, man living in the Boston area, living with Multiple Sclerosis, working with Biogen and MSWorld to help launch #MySupportHero, it’s a program that encourages people living with MS to thank and recognize their support partners for their ongoing help and care and strength and support during MS Awareness Month and Mr. Ward is here with us to talk about his walk with MS, the support partners and much more. Welcome to Health Professional Radio Brian. Brian Moore-Ward Hey, thank you for having me. I appreciate it. N: You’re suffering from MS, well is it suffering with or is it living with? B: I’m living with. It’s a very unpredictable disease and it’s something that can change day to day symptom wise. So it’s something I’m definitely living with and I don’t like to say suffer because I’m a MS survivor. N: I understand. Now, how long have you known that you had MS and was it something that you realized that you had immediately or was there a time period where you were confused and wondering, what the hey? B: Absolutely, so about 9 years ago, I started to experience numbness in my legs especially in my right side of my body where I had lose feeling. It was almost like my arm was going to sleep for a week and at the time, I assumed my arm had fallen asleep, I must have pinched a nerve. So initially I was diagnosed with Carpal Tunnel Syndrome and from there that was the initial diagnosis and then after the symptoms kind of subsided, I actually had a bad fall and I got a bulging disk and from the bulging disk I had to go and have a cortisone injection with the pain specialist and after he was reviewing my chart or my medical history, he asked me if anyone ever mentioned multiple sclerosis and I said “No” and then he asked if he could talk to my primary doctor and then do some more testing and so from the first initial when we thought it was carpal tunnel to the fall and the bulging disk and the pain specialist recommending that maybe I have an MRI and talk to a Neurologist. That’s how it kind of subsided and then it’s funny though because even after we got confirmed diagnosis of multiple sclerosis, I had, after I think back on my younger days, my teenage years, I always got probably some MS symptoms but I kind of didn’t pay attention to or I was the type that unless I was really sick, I didn’t go to the doctor. N: You said that the symptoms kind of I guess temporarily subsided after the misdiagnosis of carpal tunnel. What made the symptoms subside? I mean was it a mental thing where you say, “Okay, now I know what I have and I can manage it” or was there some type of treatment for carpal tunnel that seemed to be working? B: Well for the carpal tunnel they actually put me on the anti-inflammatory and so people with MS realized your inflamed, your nerves get inflamed so anti-inflammatories are good. Though actually by then giving me the anti-inflammatory naturally subsided some of those symptoms and they kind of slowly went away, they would come back but they wouldn’t be that intense. That was the initial kind of making the symptoms kind of disappear, go away for a small period of time. N: Now you’ve been living with MS for a time now and interacting with different MS support partners. In your experience, do men do that traditional thing like you did? Unless there’s blood and an arm that I have to carry with my other arm, I’m not going to the doctor. Is that something that you see repeatedly in males or is it something that runs both genders because, I mean it’s MS and who really expects to have MS when their arm is numb? B: Right. It’s funny that you say that because I was in that mindset that “Unless I’m bleeding or broke a bone, I don’t need to go to the doctor”. So many, majority of males think that way, they like to be tough guy but in my experience I was the type I wouldn’t tell unless I was really in pain or broke something, it was just kind of how I was. So, after the diagnosis I initially kind of go pay more attention obviously to my body and know what was going on. But I do think that you…play that tough guy role especially males because you don’t want to be a…and “Oh, my arm fell asleep, I need to go”, because you don’t think your arm falls asleep that is gonna be something serious but MS has symptoms can be across the board with MS, I mean like some tingling, some numbness to losing sight and hearing so it can be like all over the place. N: When you spoke with your doctor or your doctor initially spoke with you and mentioned, how did you get your mind wrapped around it from “Oh carpal tunnel to MS”? Is that when you began to put together a support group or is this something that you have to stumble upon and learn that you would benefit from? B: Well of course at the beginning it was I literally didn’t know about the disease, I’ve heard of it but I didn’t know anything of it. I think initially, my first initial thought was “Oh, goodness I’m goanna be in a wheelchair” and then luckily because of my support partner, my husband Charlie, he luckily is incredibly intelligent. He would actually have to do the research for me because I will get incredibly overwhelmed or worried so he kind of be at the forefront of, he probably knows more about the disease than I do because if I look at something it could boggle your mind. So it took a while after the initial diagnosis to really get into that positive mind frame and I’d say it took about a year or two to really kind of do a 180 on my mind set I guess. N: Your husband, Charlie, is he your primary care giver and were you guys married before or after your diagnosis? N: Oh you got this a life changer right after changing your life? N: Man, you talk about overloading experiences. N: I talk with people, quite a bit that are having the deal with a family member that’s living with one illness or another and I guess the willingness or ability to be able to give someone support on that intimate level, a far above and beyond the nurse that comes maybe even daily but it’s your husband or your mom or your wife or whatever. Do you often find yourself, maybe counseling or giving advice to others based on the quality of care that you’re getting from your husband, their caregiver maybe stumbling in an area or totally lacking in an area? Do some of your friends come to you for support? B: I definitely have a network or a team and I call them my MSers that n Facebook or Twitter reach out to me about every patient is different that’s why symptoms could be different from patient A to patient B. So, we just try to talk about similar experiences like we’re taking the same medication or what do you do when this symptom comes up? But the care giver obviously is incredibly important because they’re huge resources as well as you said. So I think initially I try to help or people reach out to me they’re a major great resources found in MSWorld.org or even aboveMS.com that’s a great resource for people in the community to find out information and I think that was a huge help in the beginning for me to kind of get me into connecting with other people that are going through the same experiences as me. I do enjoy speaking to other MSers about their going through and they do tweet me or email me or reach out through Facebook. N: Let’s talk about MS awareness month and #MySupportHero. B: Sure. So it’s basically a great initiative that was started by Biogen and MSWorld.org is initiative #MysupportHero as you said and it’s to honor those like my husband Charlie, it kind of affect them just as much as it affects the patient level of the disease even though they’re not going through the symptoms or the pain of the disease. 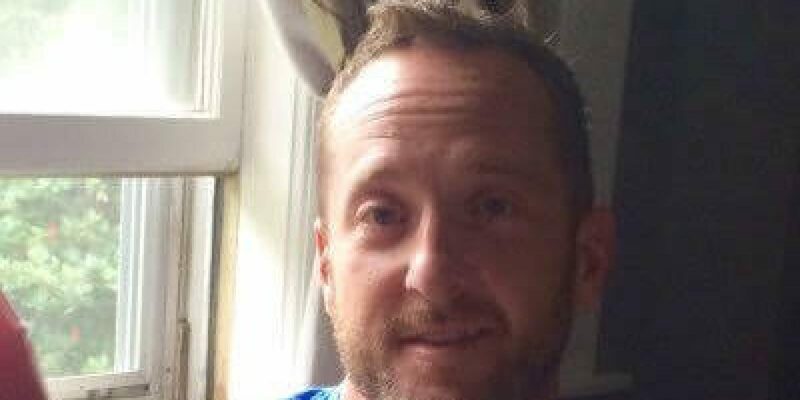 They’re dealing on the emotionally and mental level where obviously this is a huge team and my husband’s life after six months of marriage and now we’re beginning our life together and then this disease…So this initiative is a great way to thank those people that don’t always get the recognition. N: Great. You’ve been listening to Health Professional Radio, I’m your host Neal Howard. And we’ve been in studio talking with Brian Moore-Ward this afternoon, discussing his journey with Multiple Sclerosis, also discussing the importance and the huge benefits of living, caring close by care giver as he has in his husband. Brian is in the Boston Area and he’s also started the initiative #MySupportHero, it’s an initiative where folks living with MS can personally, well virtually thank and recognize their support partners for their ongoing healthcare and support during MS Awareness Month. It’s been great having you here with us this afternoon Brian. B: Thank you so much. I appreciate it. N: Thank you. Transcripts and audio of this program are available at hpr.fm also at healthprofessionalradio.com.au and you can subscribe through our podcast on iTunes.